Republicans won 56 House seats in districts where President Donald Trump received between 45% and 55% in 2016, but 54 had already been in GOP hands. Republicans flipped only two Democratic seats. Democrats won 43 seats in districts where Trump received between 45% to 55%, grabbing 27 from the Republicans. No Democrat won a district where Trump received 55% or more in 2016, and no Republican won a district where the president received 45% or less. 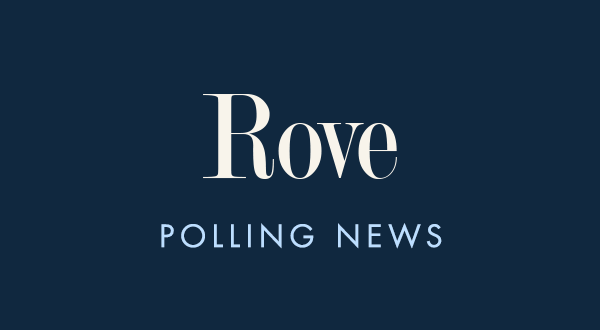 Fivethirtyeight.com reviewed the 56 districts Republicans won in the 45-55% bracket, albeit from a lens that focused on where “Democrats will try to compete in the future.” Their observations are nevertheless helpful for Republicans looking for deficiencies and where there’s room to grow in 2020. 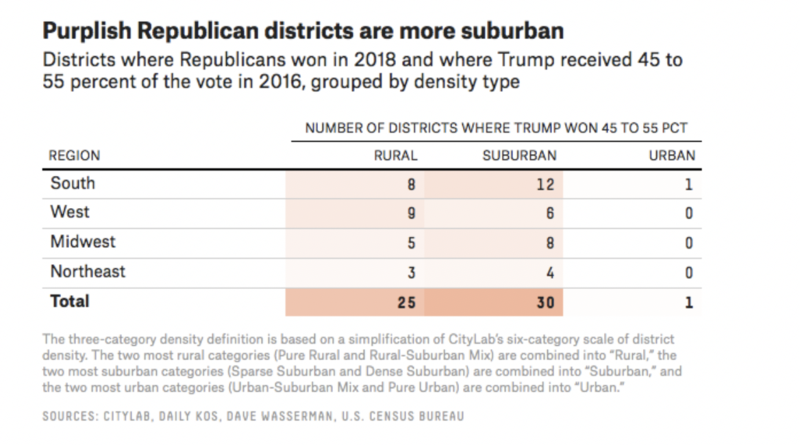 Of the 56 congressional seats Republicans won in the Trump 45-55% districts, thirty were in the suburbs, twenty-five were in rural areas, and one was in an urban area. Twelve of the suburban districts were in the South, eight were in the Midwest, six were in the West, and only four were in the Northeast. Of the rural districts, nine were in the West, eight were in the South, five were in the Midwest, and only three were in the Northeast. The suburban seats were much narrower wins for the GOP than those in rural areas. The GOP won 38 of the 56 seats in the Trump 45-55% districts by single-digit margins, implying these seats could be in danger in the future. Of these 38 seats, 21 were in the suburbs (CA-22, CA-50, FL-15, FL-16, FL-18, GA-7, MO-2, NC-9, NE-2, NY-1, NY-2, OH-1, OH-12, PA-1, PA-10, TX-2, TX-6, TX-21, TX-22, TX-24, TX-31) and 17 were in rural areas (AK-1, AR-2, CA-4, CO-3, IL-13, KY-6, MI-6, MN-1, MN-8, NC-13, NC-2, NY-24, TX-10, TX-23, VA-5, WA-3, WA-5). The other 18 were won by ten points or more and should be safe, barring unforced errors. Republicans must start working to win back voters in once-friendly suburbs, starting with these 38 districts with a focus on recruitment and resources.